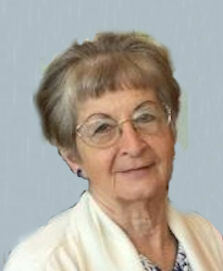 Dolores M. Teague (nee Demyan), 78, of Lorain, died peacefully on Saturday April 13, 2019 at Northridge Health Center in North Ridgeville while surrounded by her family. She was born in Lorain on June 23, 1940 and had resided in Lorain most of her life. She graduated from Lorain High School. Dolores worked as a secretary at LorMet Credit Union and State Farm Insurance. She was a member of St. Nicholas Byzantine Rite Catholic Church in Lorain where she was a member of the Altar & Rosary Society and head of the church bazaar starting in 1982. She was previously active in the Lorain Quota Club from 1970-1983 and was an assistant Girl Scout leader. She enjoyed reading, traveling and spending time with her family. She is survived by her husband of 14 years Roger Teague; children: James (Karen) Repas of Medina, Linda Turner of North Ridgeville, Carole (Rick) Koo of San Ramon, California and Judy (Scott) Dziak of Amherst; stepchildren: Sheila (Phil) Ventura of Ashland and Shelly (Perry) Pappas of Columbus; 15 grandchildren, one great grandson and brother William (Arlene) Demyan of Richmond Heights. She was preceded in death by her parents Michael & Mary Demyan (nee Urban), brothers George M. Demyan and Donald Demyan and stepson Michael Teague. The family will receive friends Wednesday April 17th from 4:00-8:00 pm at the Gluvna-Shimo-Hromada Funeral Chapel, 3224 Broadway Ave, Lorain where the Parastas Service will be held Wednesday at 5:00 pm. Panachida funeral services will be held Thursday April 18th at 10:30 am in the funeral chapel. The Rev. Jan Crizmar, pastor of St. Nicholas Byzantine Rite Catholic Church in Lorain, will officiate. Burial will follow at Calvary Cemetery in Lorain. St. Nicholas Byzantine Rite Catholic Church, 2711 W 40th St, Lorain, OH. 44053.